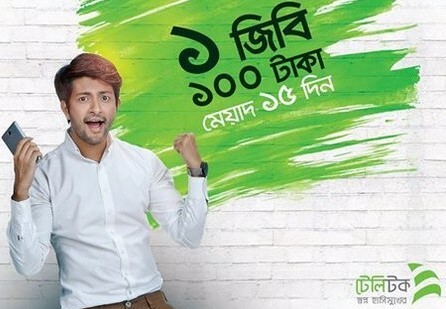 Teletalk 1GB Data 100Tk Offer! 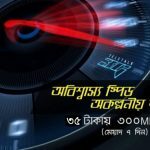 Bangladeshi only one government mobile operator Teletalk has come for their valuable prepaid and postpaid customers are Teletalk 1GB Data 100Tk Offer. This is an amazing internet offer for all Teletalk internet users. The customers who want to active this special internet offer, just follow this next instruction. Today I will share to all Internet users about this offer. If you want to know more about Teletalk 1GB Internet 100Tk Offer, just read this full article. To activate Teletalk 1GB@100TK Internet Offer, Prepaid customers need to Type “D19” and Postpaid customers need to Type “F19” and send to 111. VAT +SD + SC will be applicable. Customers can activate this Teletak 1GB Internet Offer as many times as they want. The validity of Teletalk 1 GB Offer 15 days. To know your internet balance remaining volume, Users need to Dial *152# or type a message “u” and send to 111. Customers can use this Teletalk 1GB Internet 100 Taka Offer both 2G/3G area networks and uses time 24 hours. We hope all customers can get all more update information about the Teletalk 1GB Data 100Tk Offer. Have you any question about this offer, just comments the box. We will answer as soon as possible. Thanks to all customers for visit our site and waste your valuable time us.